It's the classic story of a hometown kid made good. 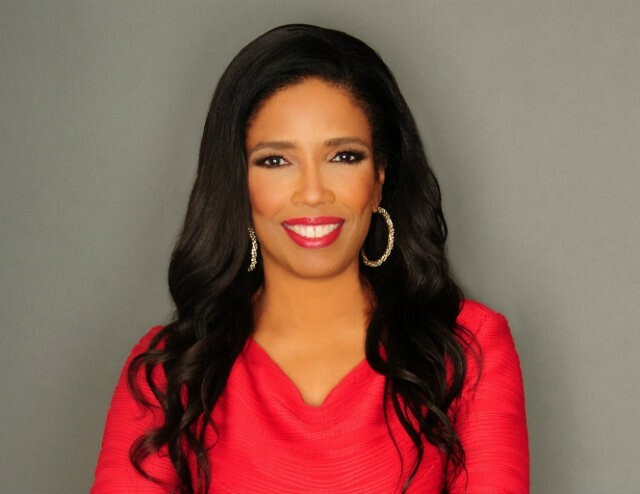 As her new book Make it Rain continues to sit atop the best sellers list, Areva Martin is traveling back to her hometown of St. Louis this week to promote her book and to do good throughout the community. One of the nation's leading network TV legal correspondents, Areva Martin grew up in tough conditions in north city's Carr Square Village. The daughter of a single mother, Martin lived with her paraplegic grandmother. It was the late 60's and early 70's, a time when the city was rocked with housing crises and unemployment. "I remember a lot of hard working people with good values, but also a lot of crime," says Martin. She began to notice the disparity between north St. Louis and those who lived to the south of Delmar during her high school years at Rosati-Kain in the Central West End. "I would ask, why did some have so much while others so little," she says. Martin found her first two years at the all-girls Archdiocesan school to be challenging. She struggled with feelings of isolation and acceptance as she traveled between her predominantly African American neighborhood and the affluent white high school. But while her grades suffered in the beginning, she began to turn things around in her junior year. After raising her grades significantly, Martin left St. Louis for the University of Chicago in 1980 where she studied economics. However, even five hours away, Martin could not escape her background. She was behind academically and socially, she says, and bullied to the point of becoming selectively mute. "An upperclassmen shamed me for who I was. She ridiculed the way I talked," Martin says, adding, "It's ironic that I make my living by talking now." She credits the resilience she developed in Carr Square for carrying her through. After graduating the University of Chicago in 1984, Martin attended Harvard Law School. From there, she moved to California, opened her own law firm, Martin & Martin, married, had children, and built her career. She is known for being a fierce advocate for children with autism, women and social justice. In 2014, she was called repeatedly by networks such as HLN and CNN to give legal analysis on police brutality and the shootings that had taken place before the protests in Ferguson broke out. 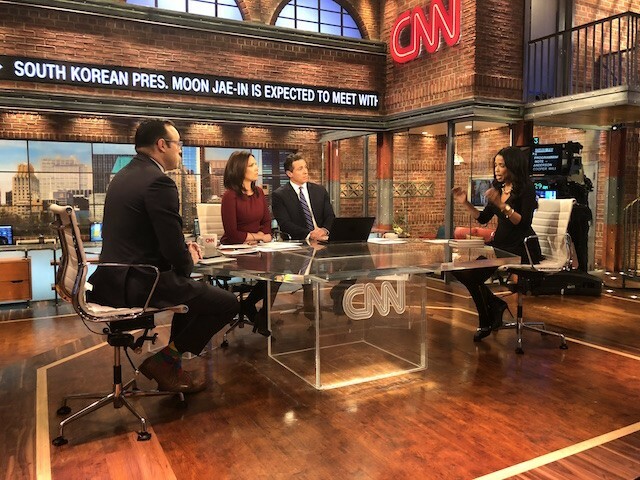 After the shooting of Michael Brown, she appeared on HLN's Jane as a part of a panel to discuss what was unfolding just minutes away from where she grew up. The events would eventually inspire her to write Make it Rain, which instructs readers on using the media to shape one's own image. Martin knew the St. Louis area was different from how the media was portraying it. "I would call folks at home first because I knew the city was different than how it was being portrayed," she recalls. This enabled her to not only give legal analysis of the events that took place, but the to give the analysis of the a local. Martin remains optimistic as she says she continues to be encouraged by the way the city has come together to help the next generation. In fact, during her visit next week, Martin will be spending time with the Urban League at its new "empowerment center" in Ferguson. Martin will also be speaking at a Women in Leadership event on May 7 at Maryville University. "I wanted to talk to real people, women, entrepreneurs, advocates, social justice leaders," she says of her decision to forego the normal book store signings for such events. However, even with a packed schedule, Martin says she is most excited to see family and old friends that date back to the fourth grade. "I love to walk around the neighborhoods where I grew up," Martin says. "I didn't appreciate it when I lived there." Although L.A. is now home, Martin says she still calls herself a Midwesterner. She speaks of the energy of the city and the events that inspired her book in a hopeful manner, saying she believes in being a voice and advocate for change. Make it Rain is available at amazon, Barnes & Noble and other retailers.